Doctors Park of Mt. 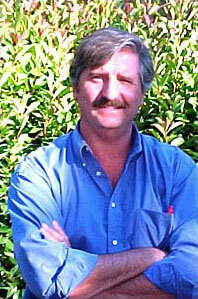 Shasta ◊ Our Physicians: Glen O'Sullivan, M.D. Our Physicians: Glen O'Sullivan, M.D. Dr. O'Sullivan was born at Stanford, CA. He attended prep school and college at Wimbledon, England and received his medical degree in 1984 from St. Thomas' Hospital School of medicine in London. He returned to Stanford, finishing his Orthopaedic Surgery Residency in 1991. He completed a Spinal Surgery Fellowship at Sir Robert Jones & Agnes Hunt Orthopaedic Hospital, Oswestry, England and returned again to Stanford University, where he served as active staff from 1992 to 1999. At Stanford, he served as Coordinator of the Orthopaedic Residency Teaching Program and Chief of the Orthopaedic Trauma Service. He also had various other appointments including Director, Spine Service Palo Alto V.A. Hospital and Spine Consultant, Santa Clara Valley Medical Center in San Jose. He has written multiple journal articles and textbook chapters, and has been a featured speaker at numerous educational courses. In 1999, Dr. O'Sullivan joined Ashland Orthopedic Associates in Southern Oregon, where he lives with his wife and four children. He began regular consulting services in Mt. Shasta shortly thereafter. He and his team have established a reputation for excellent care. Currently about half of his patients come from outside the Mt. Shasta service area.